Offering as it does a terrific standard specification at a very competitive price. 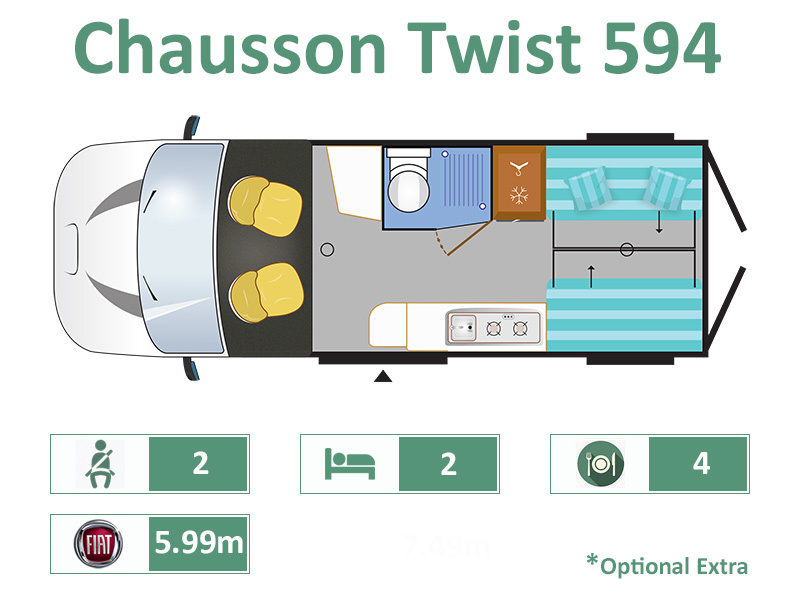 The V 594 model is just under 6 x metres in length, and can accommodate up to 2 x persons, with a large rear lounge that converts to large double bed when required. With features like integral refillable gas tank, microwave oven, and a whole host of other items within the optional Travel Pack it’s the `go to` van conversion.